At SEED Academy, we employ a variety of methodologies that help create a fun, stimulating, and engaging learning environment for our children. Our unique methodologies set us apart from other schools, and help us focus on the development of every child. At Seed Academy, we believe that children learn through experiences. Our entire methodology is based on hands-on learning in subject-specific environments like language labs, math lab, science lab, etc. We understand that not all children learn in the same way or the same level and have structured our classrooms to accommodate multi-level learning so we can address different learning styles. We work with the multiple-intelligences of the child and incorporate Neuro-Linguistic Programming in the classroom. We believe that emotions cannot be sidelined and managing them is an essential part of the learning process. Thus, we have introduced Socio-Emotional Learning as an integral part of the curriculum, which helps children handle their emotions and gain a better understanding of others. We look forward to having you on board and giving your child a wonderful and fun- filled experience in their formative years, enabling them to become life-long learners. Multi-level learning environments lend a flexible approach to learning. This allows for each child to explore the learning environment according to his or her development levels. 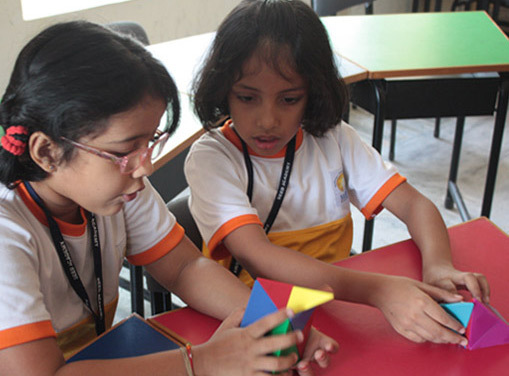 The classrooms are modeled such that the teacher can scale the spectrum of conceptual learning up or down depending on the grasping capacity and learning styles of individual children. At Seed Academy, we believe that we cannot educate the mind without educating the heart. There is equal emphasis on social/emotional and academic learning. SEL is a process that helps children develop the fundamental skills for life effectiveness. Self-management, self-awareness, social awareness, responsible decision-making, and relationship skills are the core competencies of SEL that are integrated into our daily curriculum. At Seed Academy, learning is enriched through hands-on learning labs, which form an integral part of each learning centre. These learning labs help reinforce academic concepts in Math, Science, Language, and Computers. The materials in the labs create a fun and engaging environment for children to explore concepts in an experiential manner. With the Inquiry approach, there is more emphasis on “how we come to know” and less on “what we know.” The more interested and engaged students are by a subject or project, the easier it will be for them to construct in-depth knowledge of it. Learning becomes almost effortless when something fascinates students and reflects their interests and goals. At Seed Academy, we will incorporate the Inquiry method into our curriculum in our Self Organized Learning Environments (SOLE). In progressive education, the child plays a more active role in his or her own learning than in traditional education, so teachers focus on the characteristics of each learner in addition to the quality and scope of academic content. This is a student-centered approach to teaching. The individual child’s interests, abilities and learning style are viewed as important factors in designing and assessing learning. Field Trips will form an integral part of our mission to augment classroom learning with real-life experiences. 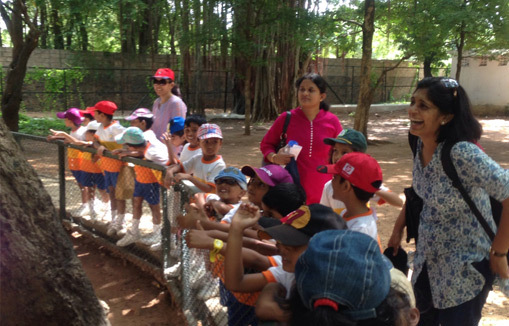 Field trips to the planetarium, farm, zoo, science and cultural centres, and many more, will be spread across the year.